“Please come in and try our food”, with the assured enthusiasm of someone who knew whatever he was offering was worthy, the young man urged us to go inside. This was about two years ago while we were walking by the newly opened restaurant inside a strip mall in Gardena. My companion and I were on our way to another restaurant in the same mall when we were intercepted. At the time, there was nobody inside this seemingly spacious and clean restaurant. We were a bit reluctant to try, but did not have the heart to turn down this young fellow with the hopeful smile. “OK, we will try, you said it is good, right?”, I wanted to have his affirmation. “Yes”, excitedly he said. The menu was very clear with photos of all the dishes. He proceeded to recommend the Abalone porridge, DolSot Bibimbap (Rice with meat and vegetables on Hot Stone Bowl), and Galbi-Tang(short-rib based soup). I finally settled on the Abalone Porridge, while my companion ordered the combination of Galbi and DolSot-Bibimbap. There was a rectangular box on each table that held the stainless steel spoons and chopsticks that one could help themselves to. The banchan (side dishes) here were much bigger in portion size than most of the other Korean restaurants. 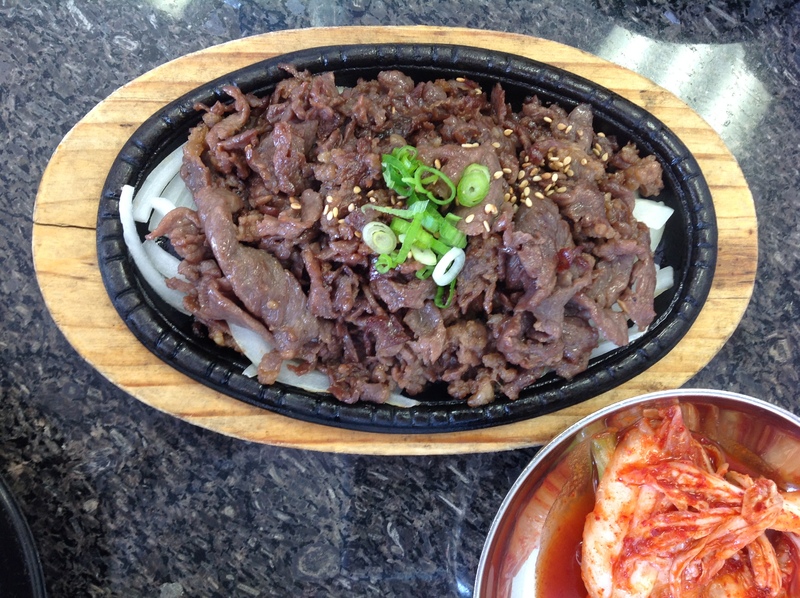 I especially liked the cube sized soy sauce beef, it was so tender and tasty. The potato salad was moist, mushy, a bit tangy, I asked for two more refills later on. The porridge was served in elongated oval shape shallow bowl with a raw egg yolk on top. I gave the raw yolk to my companion, and dug into my porridge. The flavor of abalone was mild but I did find tiny pieces of abalone inside. It was not enough food for me, so I had some of my friend’s bibimbap and galbi. The galbi was cooked just right, with a slight sweet flavor. 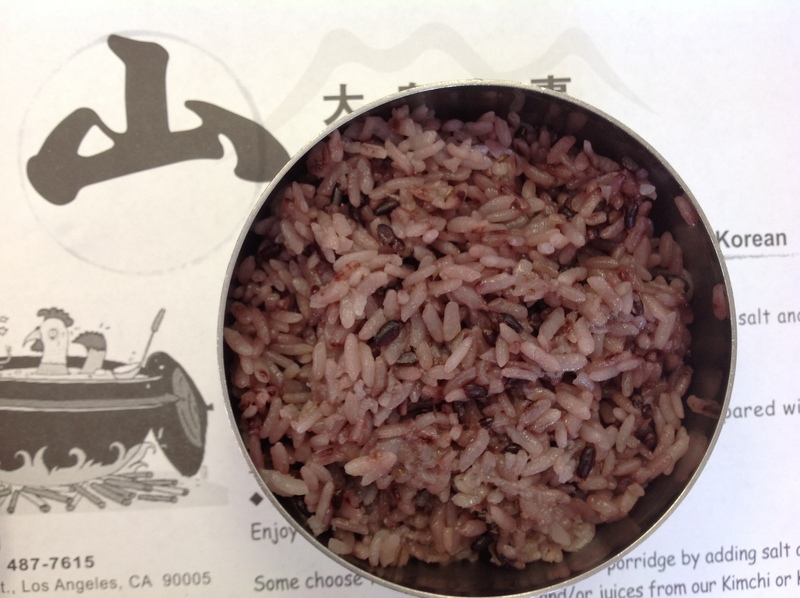 While the mixed rice on hot stone bowl would be good on a cold evening, I preferred the regular version with the rice not burnt. After not having been there for quite some time, I decided to have lunch at Mountain this past weekend. I ordered the Soon Tofu with seafood, while my son had the combo of bulgogi and soon tofu with beef. The amount of tofu had decreased substantially, as well as the portion size of the bulgogi. I was quite disappointed. The only constant was the banchan, the selections were still enjoyable, so I filled myself up with the soy sauce beef and potato salad. 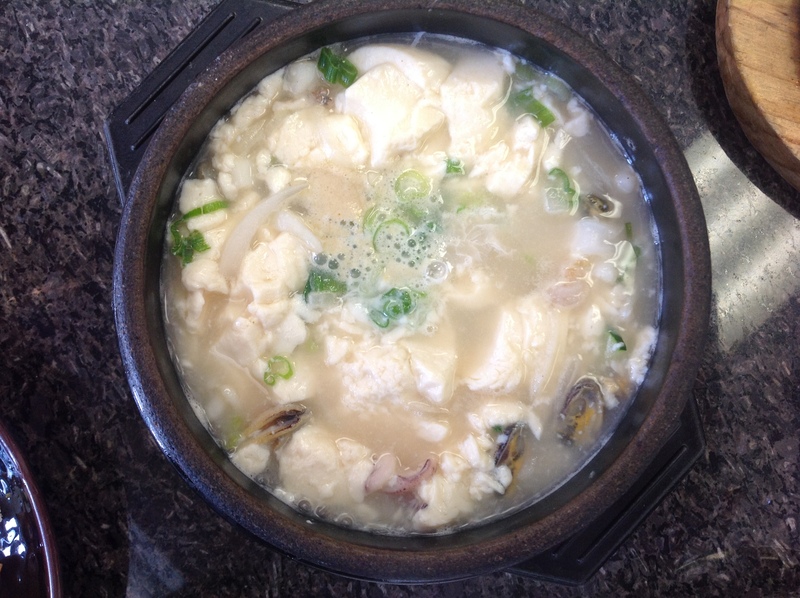 While this restaurant cannot compared to some of the best ones in Koreatown, it does offer a relaxing atmosphere, comfortable seatings because of the spacious booths, a shorter drive from home, and ample parking spaces. Great review! 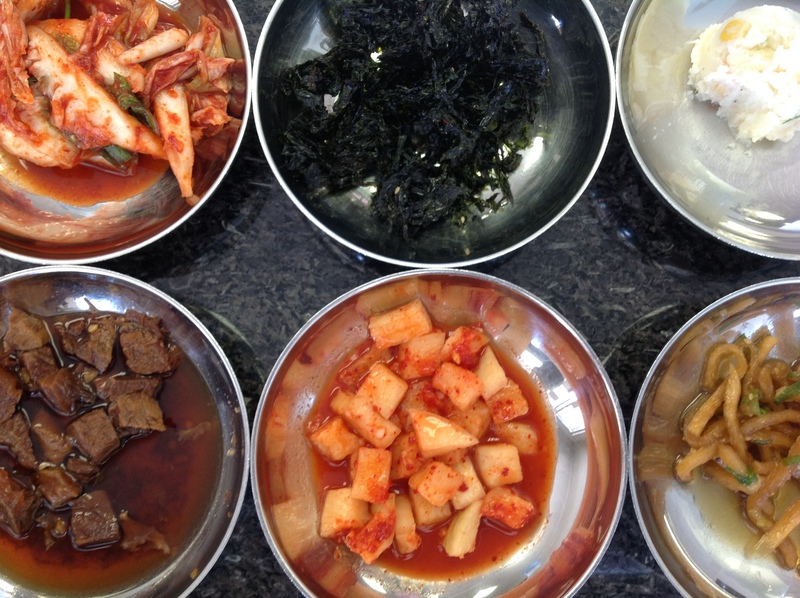 Now I’m in the mood for Soon Tofu and banchan (I am the biggest fan of daikon kimchi you will ever meet!). I love your blog, I’ve eaten at over half of the places you’ve posted about…..and the rest are bookmarked on my Yelp account! Looking forward to reading more restaurant reviews! Thank you for your kind words. You must love food like I do. Thank you for visiting my blog, I enjoy reading yours.